The new over rider hoops to protect your grille and winch for the ultimate look. Hoops are available with and without light tabs. Simple installation with no drilling required will have you ready for the trails in no time. Designed to fit onto Rock Hard winch mount plate. What is the width between the vertical bars? And the height from mounting position to the bottom of the horizontal bar? 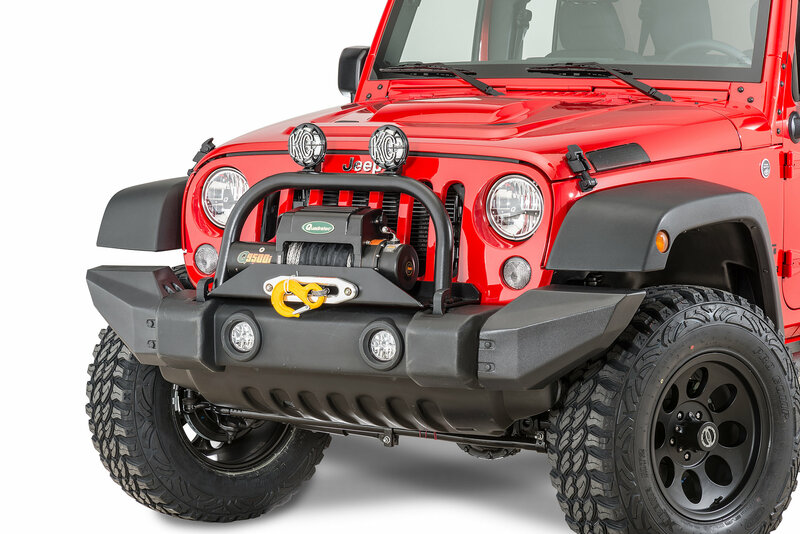 Want to ensure my winch and setup fits. Per the manufacturer, the vertical measurement you asked for is 13.5" and the horizontal is 22.5" at the bottom.